the Liebster Award is originated in Germany (Liebster means dearest or favourite in Germany). It was kind of like a chain letter, given to bloggers by bloggers. 4. 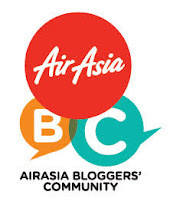 Nominate 11 bloggers who you feel deserves /favourite of this award and those who have less than 200 followers. 1. Who inspire you to start blogging? 2. What magazines you read regularly ? 3. What is your favorite type of skin care product? 4. What is your favorite type of makeup product? 5. What is your favorite skincare brands? 7. Do you love cats? 8. Do you love coffee? 9. How many hours you spend on FB everyday? 10. Use 3 words to describe yourself. Does blogging interfere with your personal life? Do you find blogging hard? -- need to keep upgrade :) , so far still ok.
What can you say about 'dream'? What do you envy most? One thing you hate about blogging/bloggers? Dislike copy cat, every blogger should have its own blogging style to make the blogger world more variety. And blogging in a rush. Dun like repeat the same topic. Tell us one of your bad habit & good habit. List 3 future goals you want to achieve. Who would be your perfect dinner date and why? If you had 3 wishes that you could get answered instantly what you wish for and why? 1. Who inspire u to start blog ? 2. What u gain most after start blog? 3. Any favorite blogger ? and reason. 4. Do u feel blogging hard? 5. Which eye skincare brand u think is effective ? Thanks for nominating, but I had recently blog about it so not gonna do a same blog post again. Hehe.